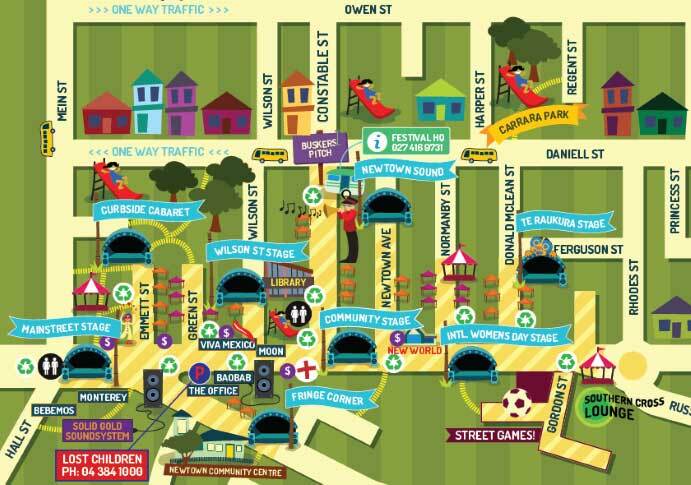 The Klezmer Rebs return for about their 5th season with the Newtown Festivals – almost an institution (or put us in one). The Rebs bring their engaging style of European and Yiddish / klezmer world/folk music born out of the Yiddish/Jewish culture of eastern Europe in the 1800s and 1900s. Klezmer Rebs instrumentation includes guitar and mandolin, violin, clarinet, accordion, keyboards, trumpet, bass, recorder and vocals. 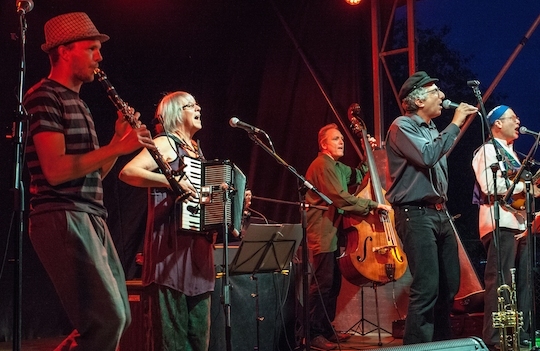 The ‘Rebs’ play a range of slice-of-life Yiddish klezmer story songs about the ‘old country’. You will also enjoy partisan songs from Italy, Russian folk tunes, French chansons, Latin cowboy love songs, gypsy, and English language jazz and 1940s swing vocal songs. Their own quirky, politically charged multi-lingual originals are some of the most popular crowd tunes.